A study on the life cycle assessment (LCA) for the production of two whorl young budding in polybag (TWYBP) was carried out to compile an inventory of materials and energy balance as well as to identify and quantify the environmental impact associated with it. 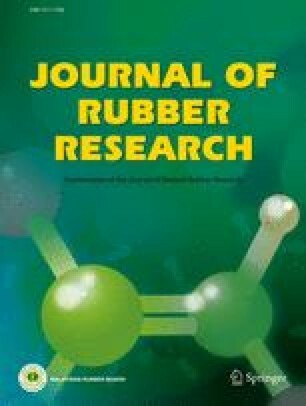 The study was conducted using LCA methodology involving 32 rubber nurseries in Peninsular Malaysia. The life cycle impact assessment (LCIA) study was conducted using Simapro Software version 7.3.3 with Eco-indicator 99 as the selected LCIA methodology. Production of diesel was found to be the main contributor to the ozone layer, land use and fossil fuels characterisation impact categories with contribution percentage of 85.7%, 61.1% and 54.9% from the total impact of the respective characterisation results. Fossil fuels impact category recorded the highest impact for the weighing results, followed by respiratory inorganic, carcinogens and climate change. Fossil fuels recorded 63.2% while another seven impact categories i.e. acidification/eutrophication, land use, ecotoxicity, minerals, radiation, respiratory organics and ozone layer recorded less than 1% each from the total value of the 11 weighting impact categories. Production of diesel and polybags were the two processes that contribute greatly toward the total environmental impact in the production of TWYBP. The diesel and polybag consumption in the production of TWYBP can be reduced by increasing the bud-grafting success rate in the form of training on the correct bud-grafting technique for the rubber nursery workers, proper selection of good quality seedlings from recommended clones and selection of good quality bud-patches from recommended clones to be grafted to young rootstocks.